Forget popsicle stick art and “free hug” coupon books. 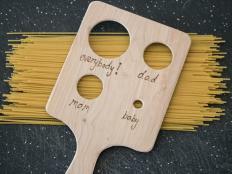 This year give Mom something she can use. This planter is simple to make and is as cute as it is practical. To make the planter we started with an industrial size can of pinto beans. You can buy whatever you need from the supermarket, just be sure to get the really big size. The rest of this project is quite simple and quick. However, you will need at least one day for drying time. 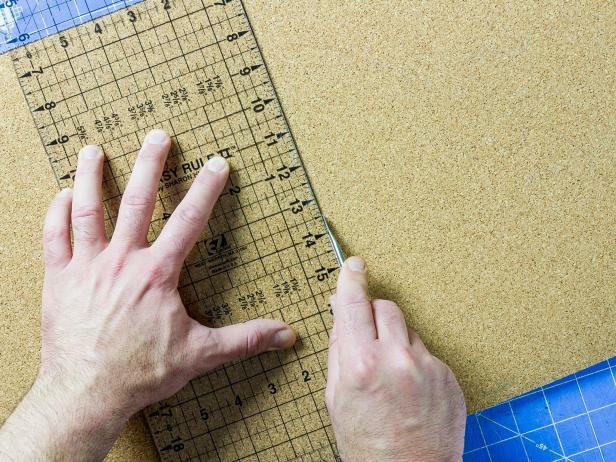 Begin by cutting a strip of cork sheeting. 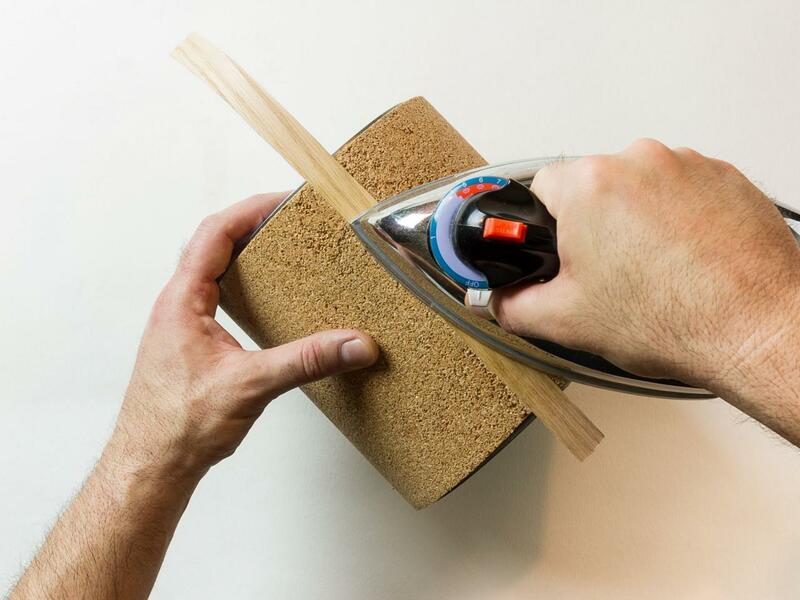 Use cork sheeting that is at least 1/4” thick (1/2” would be better). Measure the distance between the two rims of the can. With a straight edge and a craft knife, cut the cork in a neat straight line. It is better to make several, gradually deeper cuts than to try to cut the material in just a couple of passes. Cork is somewhat delicate, especially on the ends, and will break apart if you are not gentle. 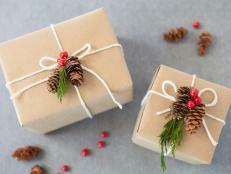 Wrap the strip of cork around the can snugly and mark it at the top and bottom where the sheet overlaps. Draw a straight line between these two points and cut again. 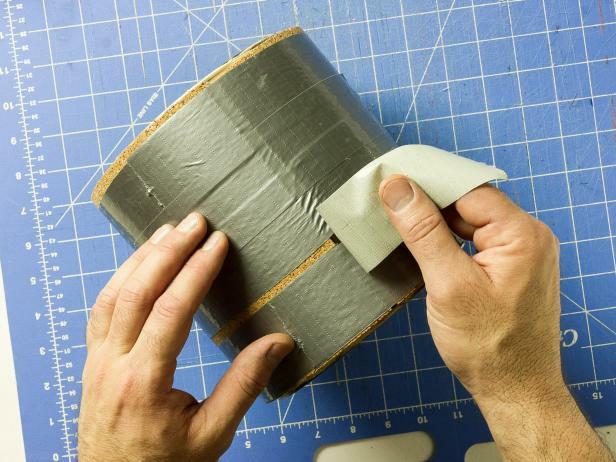 Use floor adhesive to coat the outside of the can. Apply it liberally with a brush or just rub it on with plastic gloves. Cover the surface completely. Wrap the cork around the can snugly and then wrap the cork in duct tape. Pull the ends of the cork as tightly together as possible. There will be a small gap between the ends, but that will be covered later. Immediately, use a damp paper towel to wipe away any excess adhesive that may have gotten on the cork or the rim of the can. 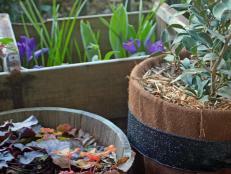 Lay the planter on its side on a flat surface with the cork seam side down. 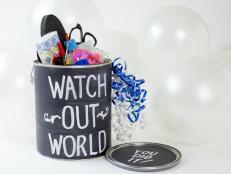 Weigh the can down by filling the inside with something heavy like small weights or a bag of sand. Let the planter rest for at least 24 hours to form a tight bond between the cork and the metal. After 24 hours, carefully peel away the tape. Pulling too hard or fast may pull away some of the cork. Use a strip of adhesive veneer trim to cover the gap. 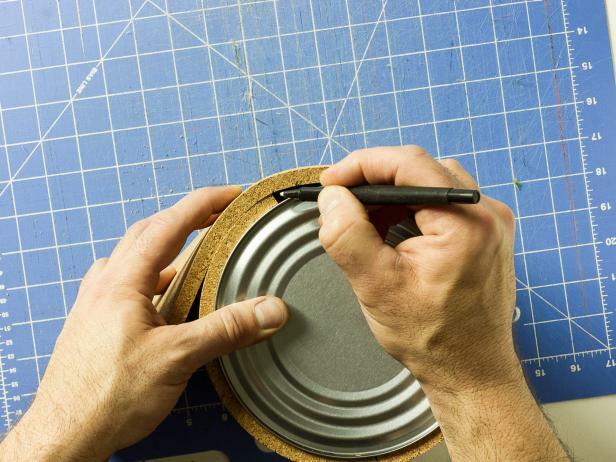 Hold the strip in place perpendicular to the bottom of the can and apply steady heat and pressure with an iron. Let the adhesive cool and set for a few minutes and then cut away the excess with scissors. 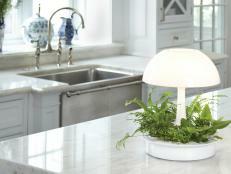 The planter can be used as is, but there are additional options. Because cork is a wood product you can also stain or paint it. 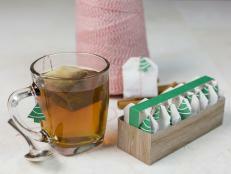 If you wish, you can create a border with masking tape and light dabs of stain. For a patterned look, apply a stencil to the entire surface and dab with stain. 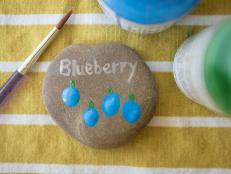 Try hand painting a message or dry brush the entire thing. Solid coverage of paint will not work well if the planter will be used with push pins. The cork will heal if the pins are removed, but the holes in the paint will remain. 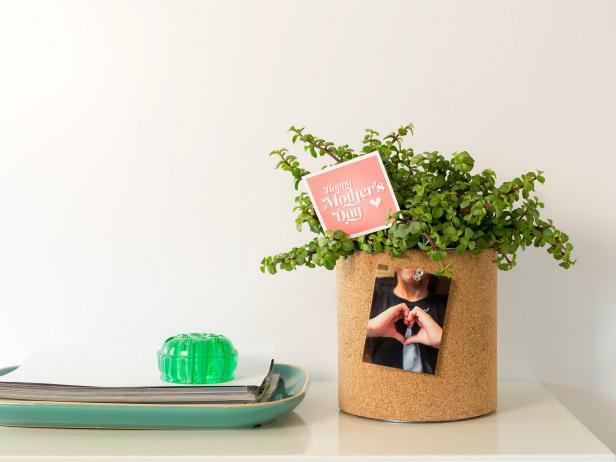 To give this charming planter as a Mother’s Day gift attach a fun photo or note to the front with a push pin and fill the planter. 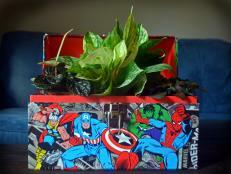 First, fill the planter with gravel or other drainage material, then soil and, finally, a plant. 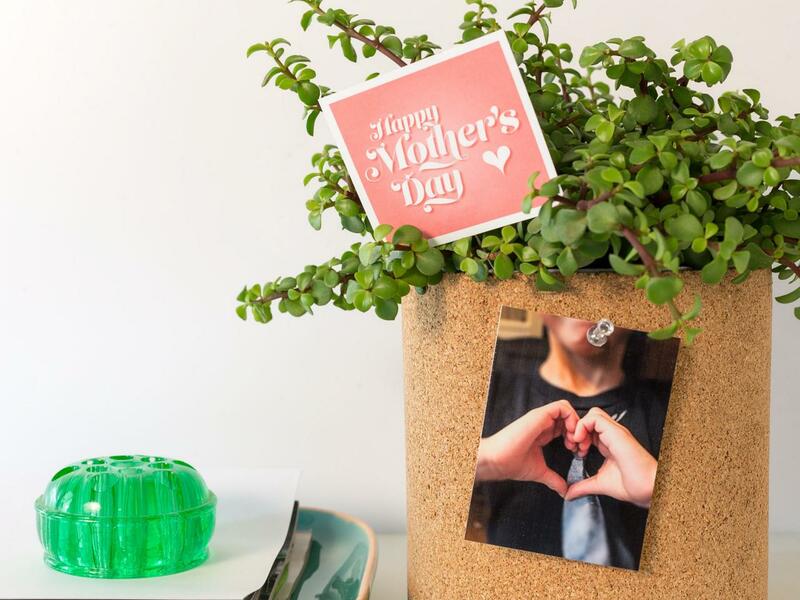 Buy or make a Mother’s Day card and attach it to the top of an upholstery pin with tape. Then just poke the point of the pin into the cork. Mom will be surprised with a useful gift and constant reminder of her beloved offspring's creativity.